CENTENNIAL CELEBRATIONS DON’T COME AROUND VERY OFTEN. The ability to hit a mark so prestigious garners nothing but admiration and respect from loyal consumers, next-gen enthusiasts and even industry competitors alike. Quite a few companies are celebrating 100 years of hard work in 2018, including John Deer’s entrance into the tractor business and the birth of electronics giant Panasonic. Now one of America’s most iconic truck manufacturers is also included in those century-long stats as 2018 officially marks 100 years of Chevy trucks in production. We are honored to salute the company’s accomplishments the best way we know how. This long-running staple of the automotive industry has continually improved its engineering, testing and development over the years to ensure a constantly evolving product in the lineage of consumer-based Chevy trucks. 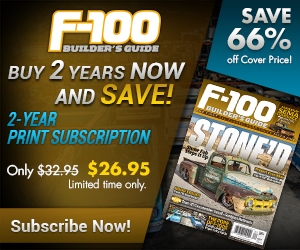 Whether you are a blue-collar base-model buyer or a top-of-the-line diesel diehard, you have the same bowtie-infused blood that has kept this amazing company moving forward over the many years. 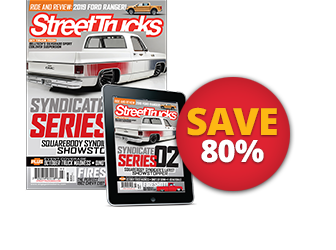 Even if the famous blue oval is your truck of choice, you’ve got to show some love for the brand that makes its competition stronger year after year. Iron sharpens iron, and one can’t grow without the other, but we know how passionate you guys are about your four-lettered favorite, so you can continue to hide your Chevy sentiments when you’re around all the other Ford fanatics. Starting on or around 1918 with a focus on freedom, American companies in all industries and locations around the country pushed the boundaries of human innovation beyond limits once thought possible. Combustion engines were on the rise and there was a demand for gas-powered people pushers like never before. By that time, Chevrolet had already been on the forefront of innovation and established as a prominent American auto manufacturer, but after differences with co-founder William C. Durant over design, Louis Chevrolet sold Durant his share in the company. Eventually Durant became president of General Motors, and Chevrolet was merged into GM as a separate division. 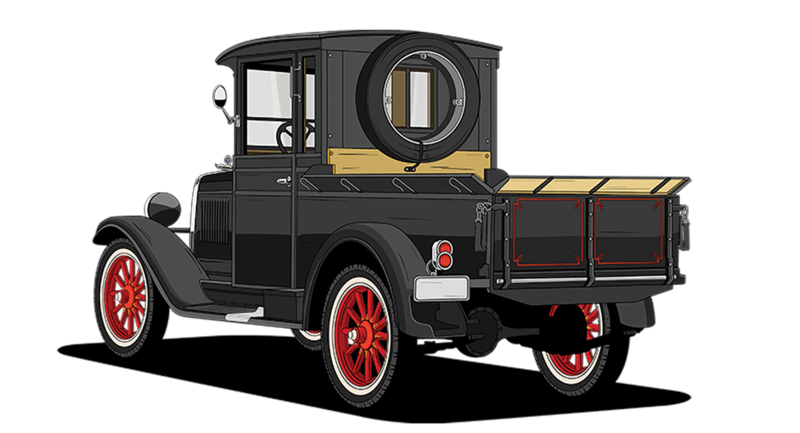 In 1918, Chevrolet’s factories were located at Flint, Michigan, and the truck line was in full-scale production and the first official Chevrolet pickup is born. 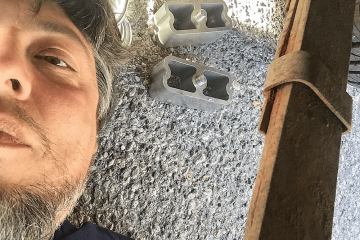 The truck was meant to be an affordable and flexible platform for customers to build on, and could be purchased as either a cowl and chassis or an express body. 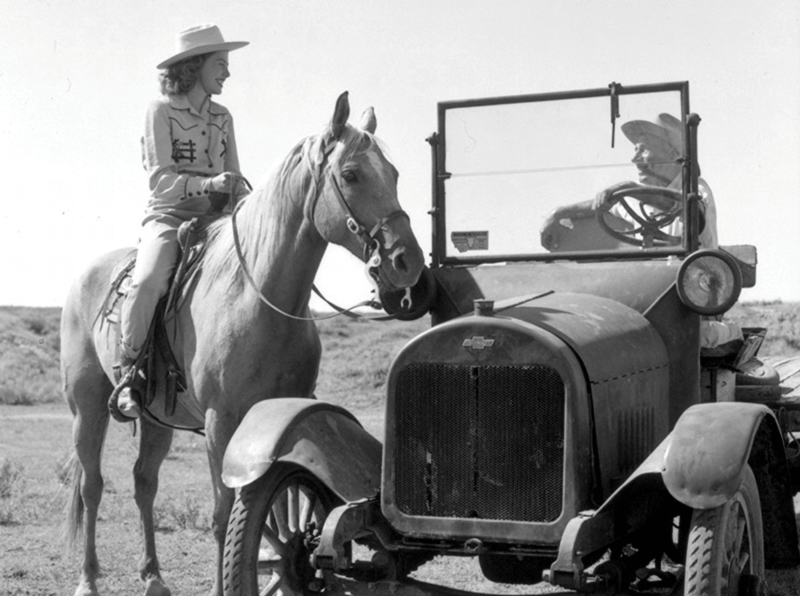 With a suggested retail price of $1,325 this 36-hp, four-cylinder pickup was affordable for the average household income. 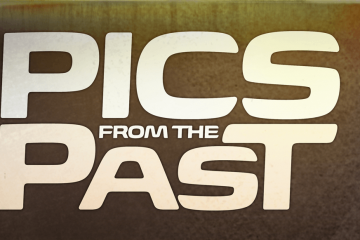 Follow along as we highlight the best of the best along Chevy’s amazing timeline. THE year 1918 was a very important one for Chevrolet. Not only did the company officially merge with General Motors, but it also debuted its first ever truck! 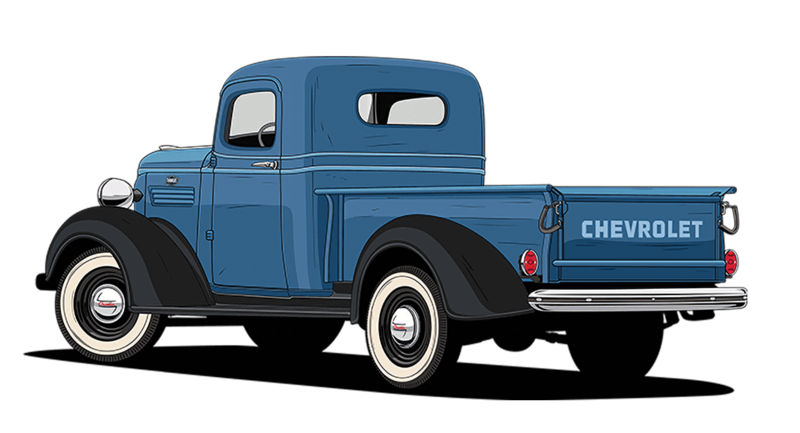 Motorized vehicles had replaced fleshy beasts of burden across the nation, but automobiles such as Chevrolet’s newly introduced pickup—its first ever—weren’t huge on power compared to modern trucks. However, they offered owners more than enough grunt to haul most anything on the farm, or across America’s fledgling towns and cities. 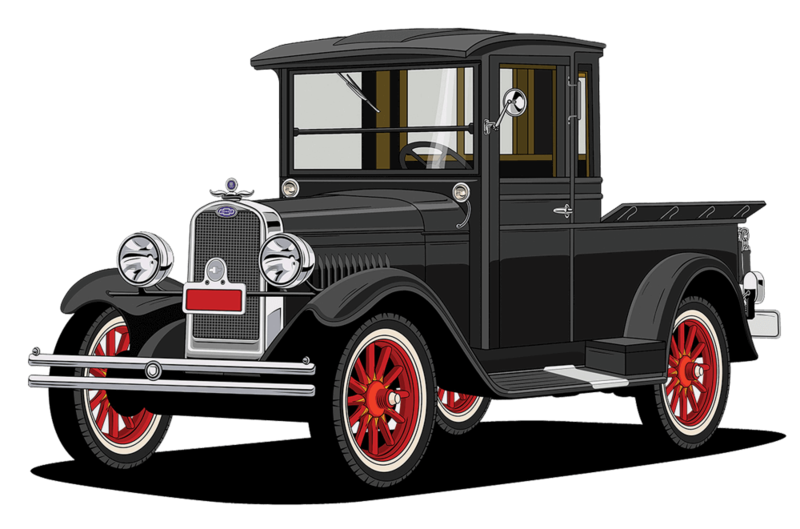 BY 1929, Chevy started making some major changes to its line of trucks, with the transition to the new “stove bolt” 194-cubic-inch inline-six engine design, as well as a closed-cab design. 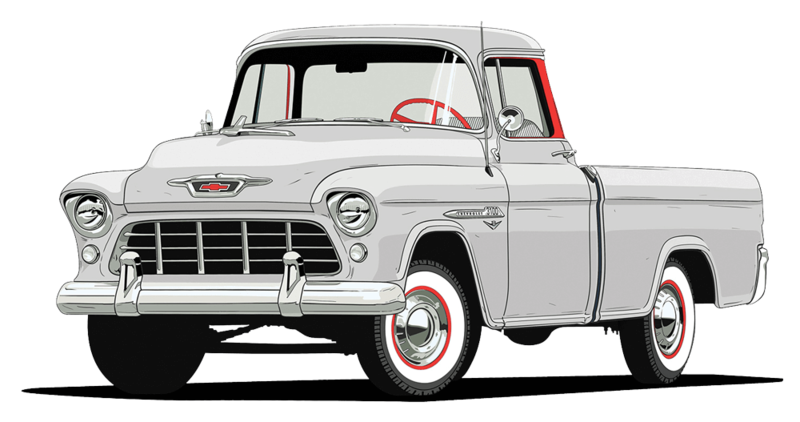 Up until now, all Chevy trucks had been roadsters with optional folding tops. Beginning in 1931, the company also began offering solid-sided beds, making this the first time an actual pickup was available from the factory. Another major change was that steel disc wheels now replaced the wood-spoked wheels, adding strength and reliability to the evolving platform. Although no one knew it at the time, similarly styled solid wheels would become a popular customizing choice decades later! 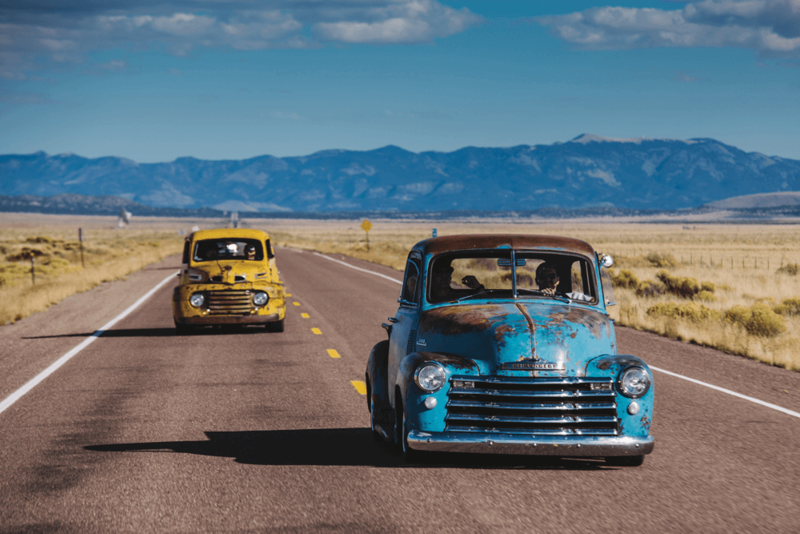 In general, however, the trucks themselves are often stripped down and built as traditional hot rods, with the crustiest among the ending up as rat rods. WITH this next generation of trucks, Chevy finally began to differentiate itself from other makes with a bold new design, which was the first to be produced by the company’s new art and color department. The Art Deco movement was in full swing by the late 1930s, and its influence is clearly visible here. The much more rounded aesthetics were a big hit with consumers, who now had plenty of other choices within the growing pickup market segment. Swept-back fenders and a fl owing vertical grille shell added a gracefulness not yet seen in a Chevrolet truck! 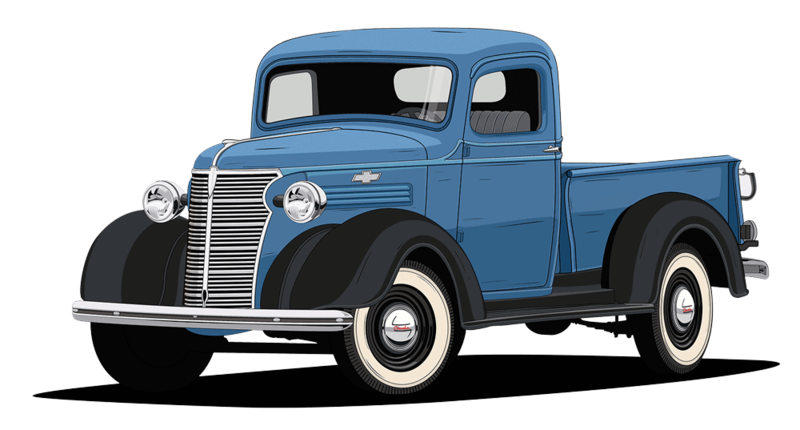 Consumer availability was halted from 1943-1945 because of World War II, but GM continued to build trucks for military use. 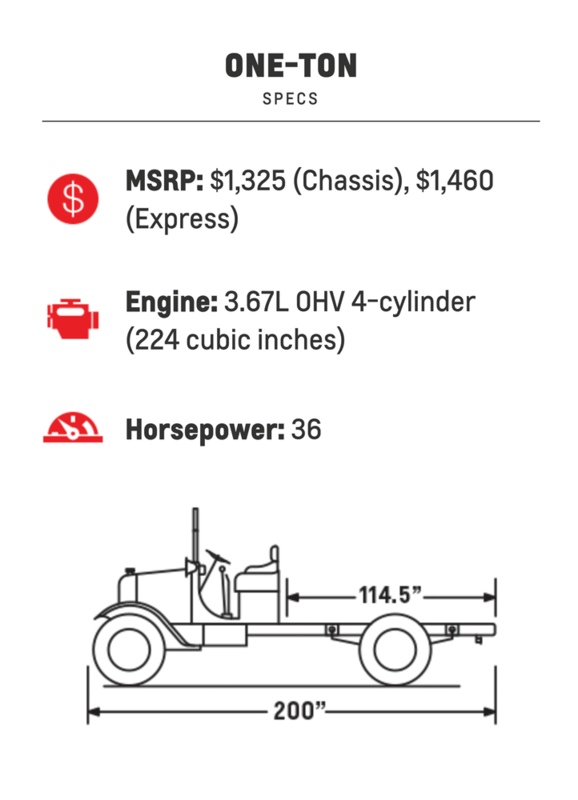 Because of this, it’s not unheard of to be able to buy a ’43-45 truck these days as ex-surplus or decommissions, even though cars of the same vintage are virtually nonexistent. And with such a beautiful design, it’s no wonder that these Art Deco-inspired trucks would eventually become so popular to customize. Everything from kustom taildraggers to hot rods and modern street machines have been built from ‘36-46 Chevy p pickups, and we love them all. 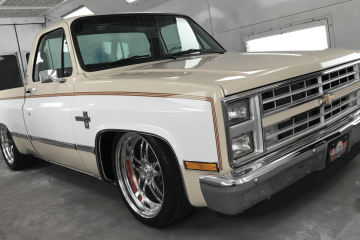 CONSIDERED by many to be the most beautiful truck that GM ever produced, the Advanced Design series of trucks have certainly withstood the test of time as one of the most stunning designs to ever come out of Detroit. It quickly became the bestselling truck on the market and was continually refined and improved over the years. The biggest changes came in 1954, with the introduction of the one-piece windshield, horizontal bed rails to replace the previous angled rails and round taillights. An assortment of inline sixes was offered throughout the model run, beginning with the 216 cubic inch through 1953, and then moving through the 235 and 261 cubic-inchers toward the end of the model run. 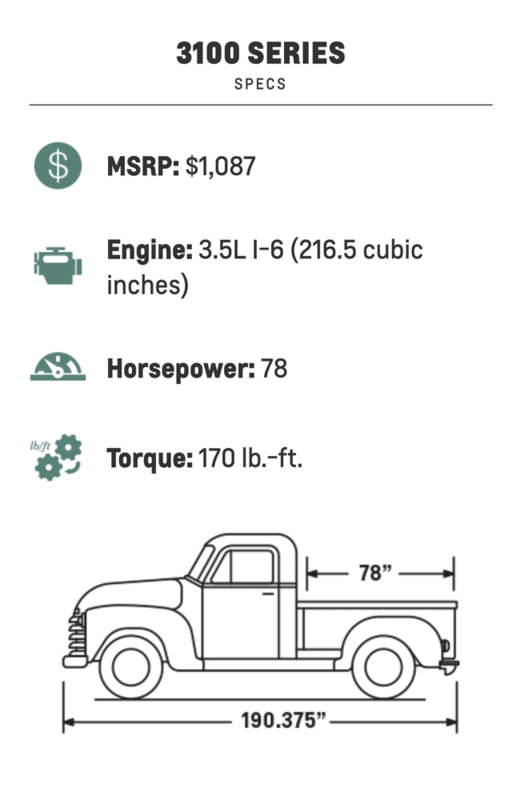 1954 was the first year that a Turbo Hydramatic trans would be offered, and holdover 1955 “First Series” trucks were finally treated to an open driveline configuration before the redesigned Task Force pickups were introduced. 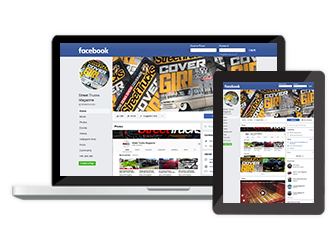 These days, the AD truck can most often be seen as a street machine, but they are also popular as kustoms. THE “Second Series,” or Task Force, was a big deal when it debuted in 1955. 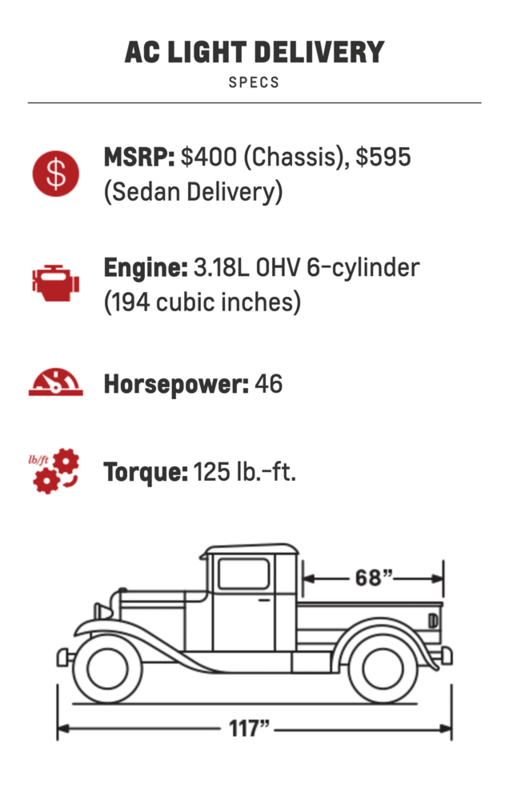 A new 12-volt electrical system was now standard on all trucks, and helped better start available engines, such as the newly available 265-cubic-inch V-8. 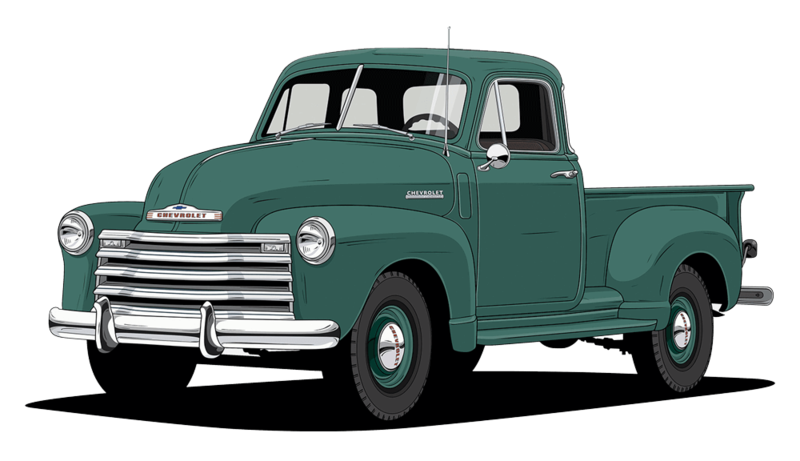 Chevy trucks would now feature a wrap-around windshield, which was actually a first for any truck on the market. And with style reminiscent of the now-legendary tri-five cars of the same era, these trucks are absolutely gorgeous whether stock or modified. 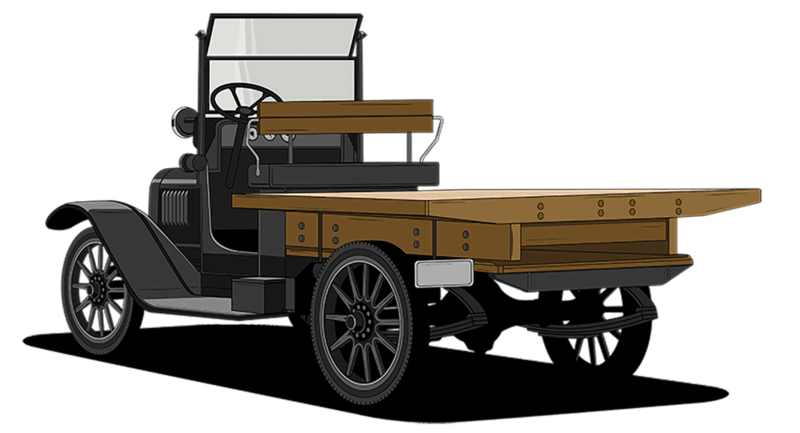 The “Cameo Carrier” introduced the first fleetside bed on a Chevy, which would become a popular option on trucks from then on. The 1958 models debuted with twin headlights, mimicking the look of the new 1958 Impala. 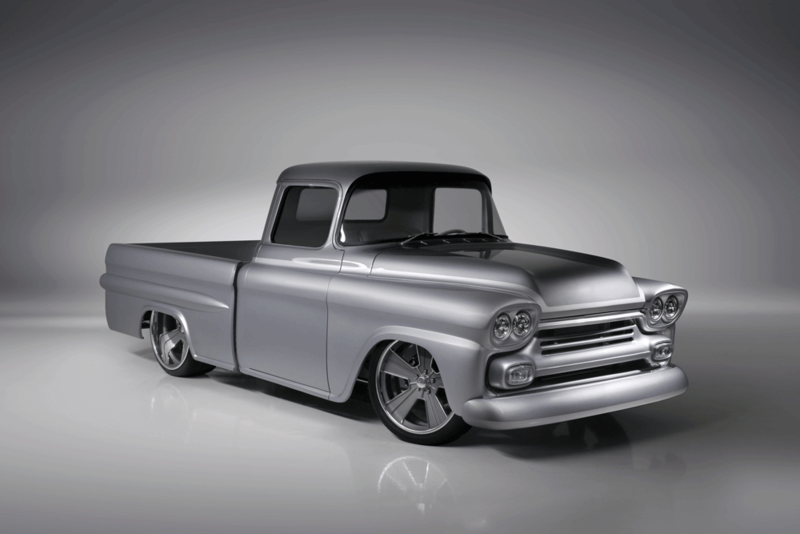 1959 models received only minor cosmetic changes in anticipation of the upcoming release of the C-10. 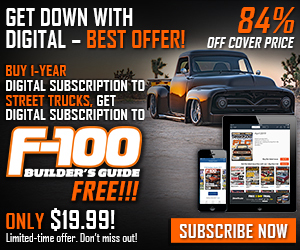 THE 1960-1962 C-10s received a newly designed independent front torsion bar suspension and trailing arm rear suspension, which greatly improved ride quality compared to the previous beam front and leaf spring rear suspension. The 1963 models were the first to get coil spring front suspensions, and were the last year to have the wraparound “knee-knocker” windshield and distinctive double-hump dashboard. 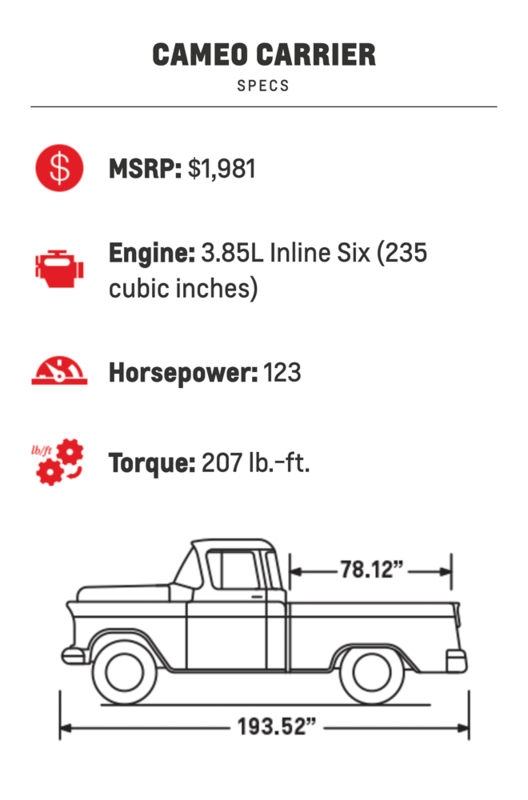 Because of these attributes, 1963 C-10s are the favorite of many truck enthusiasts, but then again many prefer the more angular side view of the ’64-66 trucks. Various inline-six engines could be had over the seven years of production, as well as a 283- or 327-cubic-inch V-8. 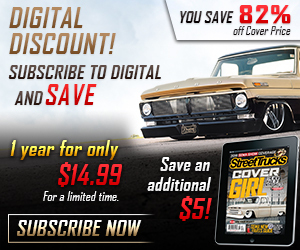 This generation C-10 is equally at home as a muscle truck, kustom or pro touring ride, and it remained a hidden gem in the truck scene for many years. Popularity seemed to greatly increase in the early 2000s and has become a favorite of many since. In 1967, Chevy brought about yet another design change, and its “Action Line” trucks now featured an even bolder look, as well as a bigger focus on driver comfort. Gone was the angular look of its predecessor, in favor of more simplified lines. More plush and ornate interiors were a big improvement over previous models, and engine choices ranged from a capable 250-cubicinch inline-six to a 402-cubic-inch big block V-8. If you wanted a small back window, you had to get in early on the ’67 models, as that was the only year it would be available on anything but C-40 and C-60 models. Aside from that, slight cosmetic changes occurred every model year, with the most obvious being the front ends between ’68 and ’69 models, which were beefed up aesthetically. Beginning in ’71, interiors were improved yet again with more padding, and exteriors could be had with more brightwork. More importantly, the front brakes were now discs! SOMEHOW, this generation is called both a “squarebody” and a “rounded line” truck, and much like trying to fit a square peg in a round hole, we’ve never been able to make any sense of it! 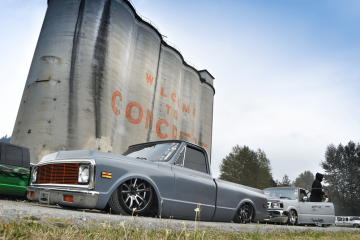 Be that as it may, everyone’s new favorite C-10 has actually had a cult following since its inception. And as blunt as its front end has been over the years, it was aerodynamically superior to the previous generation C-10! All in all, the squarebody was definitely the best Chevy truck to date, and was the first to have features such as curved side glass and an antenna embedded into the windshield. 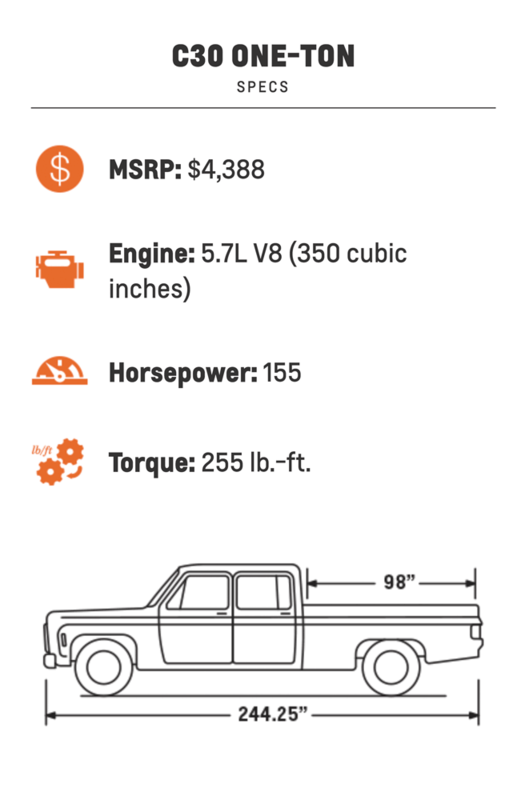 The squarebody was also the first GM truck to become available in consumer friendly dually version. Sure, duallies were available in previous versions, but the ’73 and newer C-30s could now be optioned out just as much as their lighter duty siblings, and they came from the factory with a complete bed. Tons of options were available, from various trim packages to engine choices that included a 454 big block! 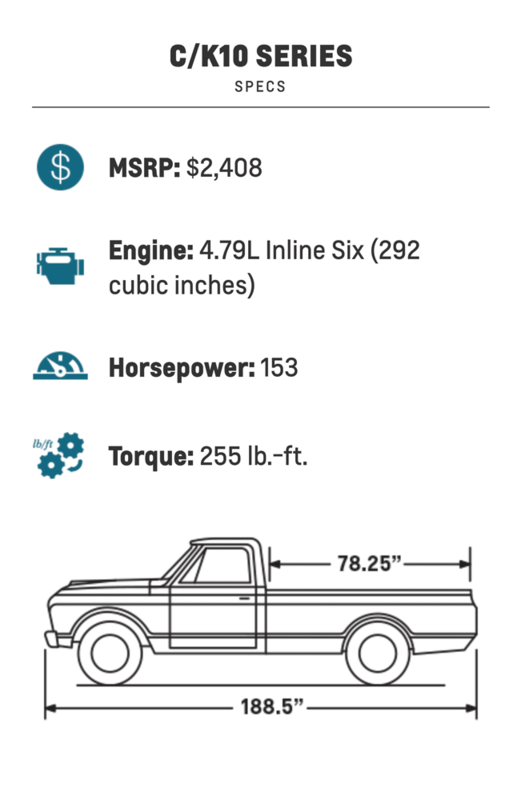 Those who prefer a more classic look tend to go for the more rounded ’73-80s, but those who want the best that the squarebody had to off er tend to look for ’87 models (which is designated as an R-series), as that was the first year for TBI (throttle body injection). The 1981-87 trucks got the “brick” front end with stacked headlights, with minor updates throughout the years. And yes, squarebody variants such as crew cabs, duallies, and Blazers were made through the 1991 model year.